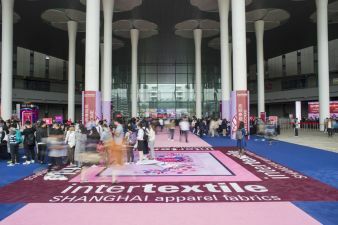 27 – 29 September will see 4,000-plus suppliers and more than 70,000 trade buyers gather for Intertextile Shanghai Apparel Fabrics in Shanghai. The earlier date for the industry’s largest trade event is attracting many of the biggest apparel fabrics and accessories back to the 2018 edition. Signed up to return with their Group Pavilions, which will feature these brands’ partner mills, are Birla, DuPont, Hyosung, Invista and Lenzing, while Ecocert/Gots and Oeko-Tex will also have their own pavilions in the All About Sustainability area. 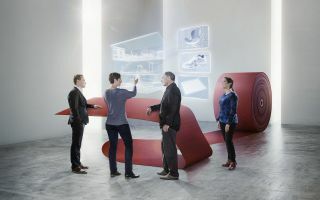 In the Functional Lab area, leading players such as Aquafil, Nilit, Toray and Unifi will feature again, while 3M are confirmed to participate in Accessories Vision. Two international promotion bodies Cotton Council International and The Woolmark Company also return, as do global Chinese players Bros Eastern and Huafu Fashion. Among the many Japanese participants will be Komatsu Seiren and Stylem, while Dormeuil and Malhia Kent from France participate again this year. The unavailability of three halls at the National Exhibition and Convention Center in the latter part of this year has resulted in a reorganisation of the hall allocation, with the two International Halls being 4.1 and 5.1 this edition, and domestic exhibitors grouped by product end-use throughout eight halls. As the most comprehensive sourcing platform in the industry, the fair’s product groups include cotton, wool, man-made, silk, linen / ramie, denim and knitted fabrics, as well as lace & embroidery, fibres & yarns, garment & fashion accessories, original pattern designs, sustainability products & services and digital printing technologies. Application areas for these products include ladieswear, menswear, suiting, shirting, casual wear, functional wear / sportswear, denimwear, lingerie & swimwear, children's wear and more. This same unavailability of the halls has also necessitated a change for Yarn Expo for its 2018 Autumn Edition. 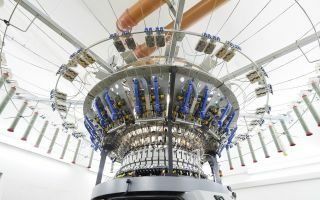 Originally scheduled to take place concurrently with Intertextile Shanghai, it will now be held from 15 – 17 October, also at the National Exhibition and Convention Center, and will coincide with the biennial ITM ASIA + CITME textile machinery fair. 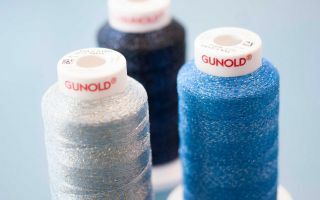 This one-off change is only for 2018, with Yarn Expo and Intertextile Shanghai Apparel Fabrics to be held concurrently again for both the Spring and Autumn Editions next year. Intertextile Shanghai Apparel Fabrics will still run concurrently with the CHIC and PH Value fairs this edition, which take place in halls 2 & 3. Intertextile Shanghai Apparel Fabrics – Autumn Edition 2018 is co-organised by Messe Frankfurt (HK) Ltd; the Sub-Council of Textile Industry, CCPIT; and the China Textile Information Centre.